This Friday (Really Saturday) join me as I will be live-streaming My Park on 2K17. 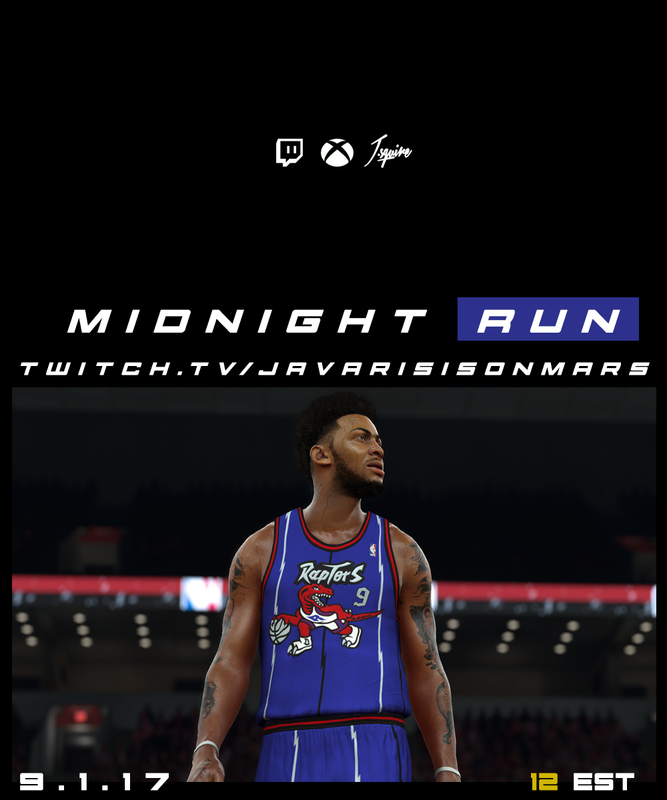 You can link up and run with me or you can just hang in the chat and watch. It's up to you. Will be some fun. Bring some snacks. It's been such a long time since we did this huh? Y'all have been asking and now I'm here to deliver. A Litte back story for everybody new to the blog. On Fridays, we used to link up on Xbox 360 and play zombies and 2k14. It was a lotta fun. We back and better than ever. One, cause I made a Twitch page. So now people that are not into games can also join in on the fun while watching. Like the old days. We switching the games up as y'all see fit. Team Play is back on Madden (OMG) so hopefully, we can get into that. Make sure to follow me on Twitch.